TWU Delegates and Officials joined with members yesterday to celebrate the Hindu Diwali Festival – the Festival of Lights – at Transdev’s Sunshine Depot. 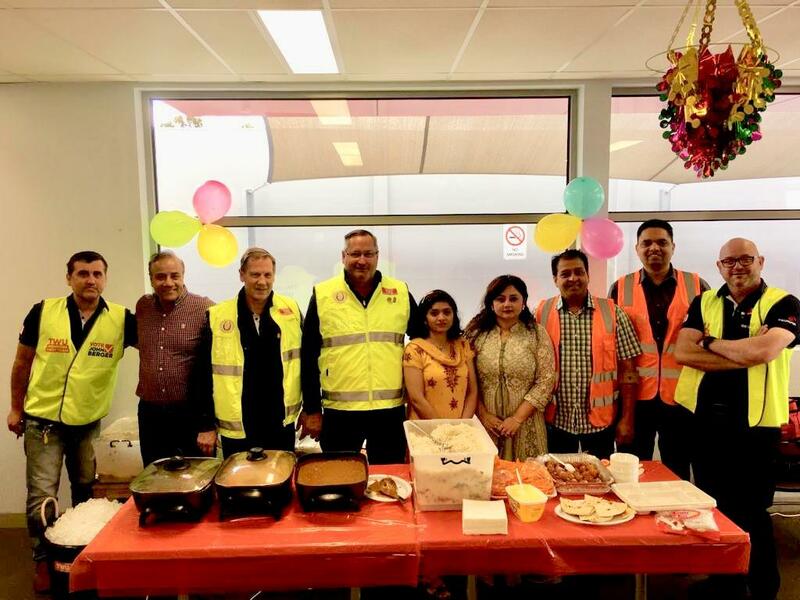 The Festival, which is an official holiday in at least 11 countries, is embraced by the many TWU members in the Victorian Bus Industry with ties to the sub-continent. Diwali is one of the most popular festivals of Hinduism and its celebration includes the spectacular sight of millions of lights shining on house steps, roofs, outside doors and windows and around temples and buildings in the countries where it is observed. TWU (Vic/Tas) Branch Secretary John Berger, who attended the celebration with Assistant Secretary Chris Fennell and Bus Organisers, said it was important the union recognises the diversity of its membership. “The TWU is a broad church and our membership base is a true reflection of the diversity of Australian society,” John said.